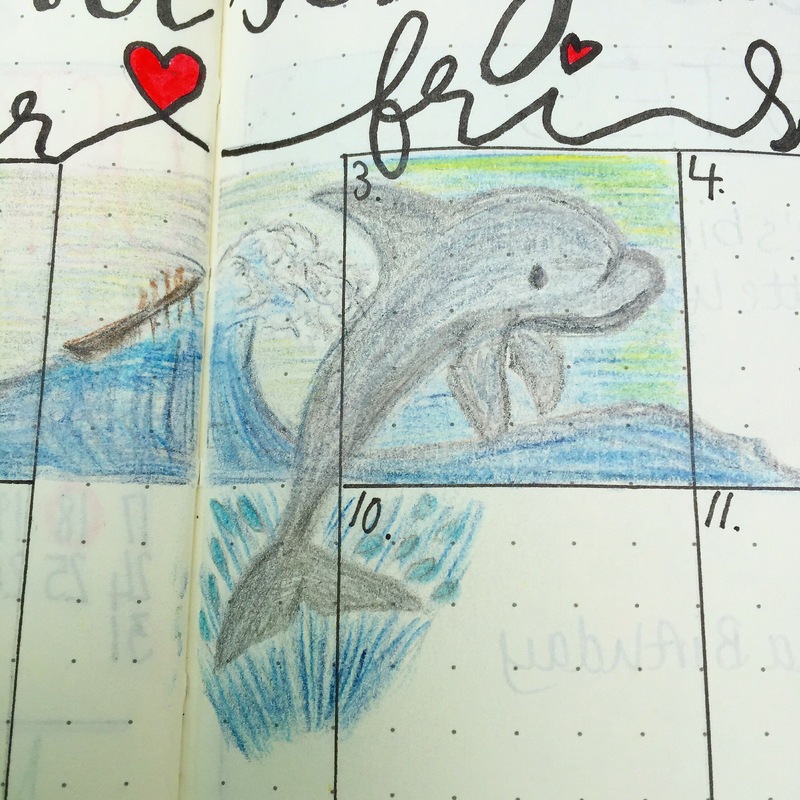 Started out quite calmly but a bit unsure of what I was doing! 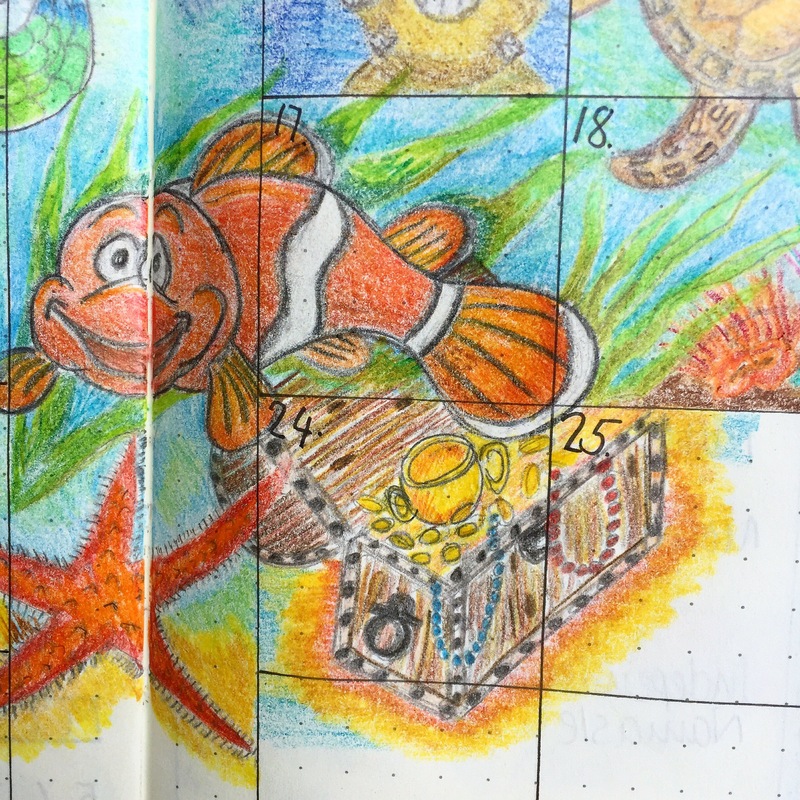 Started to warm to my theme – it’s been a long time since I used coloured pencils! 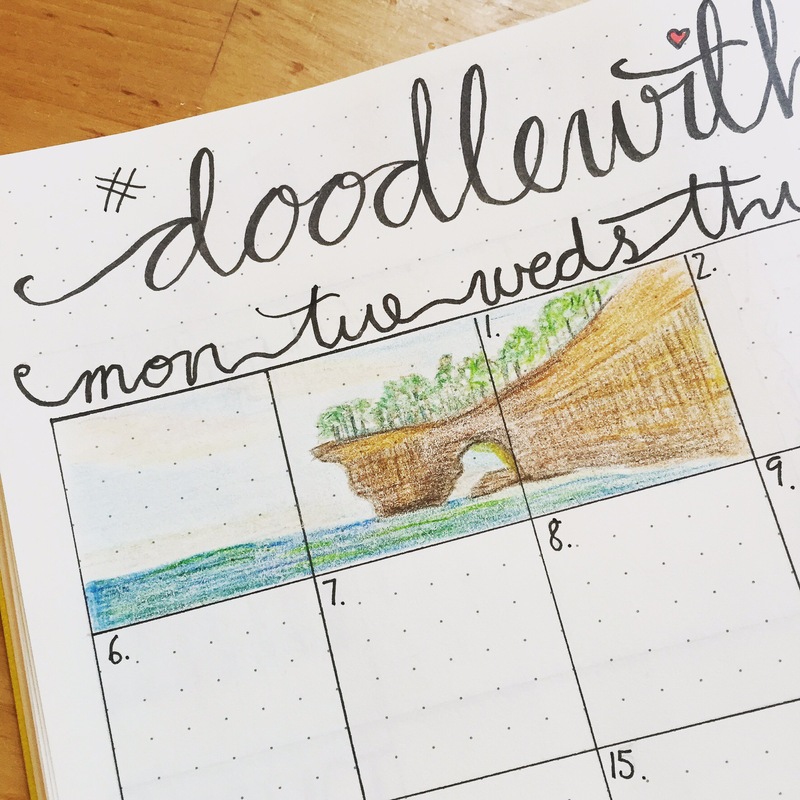 Forgot how much I loved to doodle! 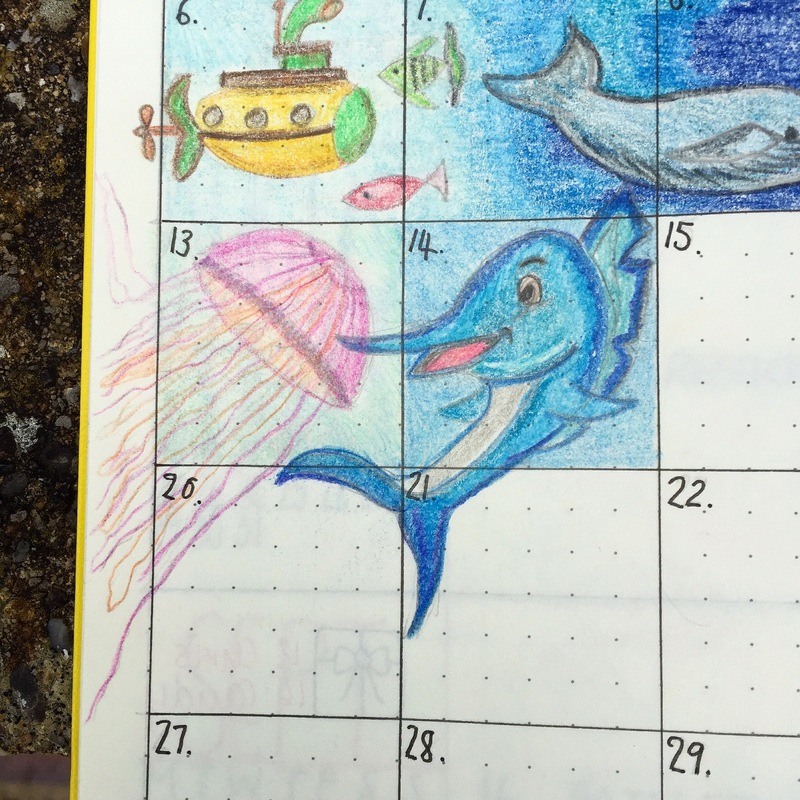 I’m using my Leuchtturm 1917 notebook which is my current bullet journal. 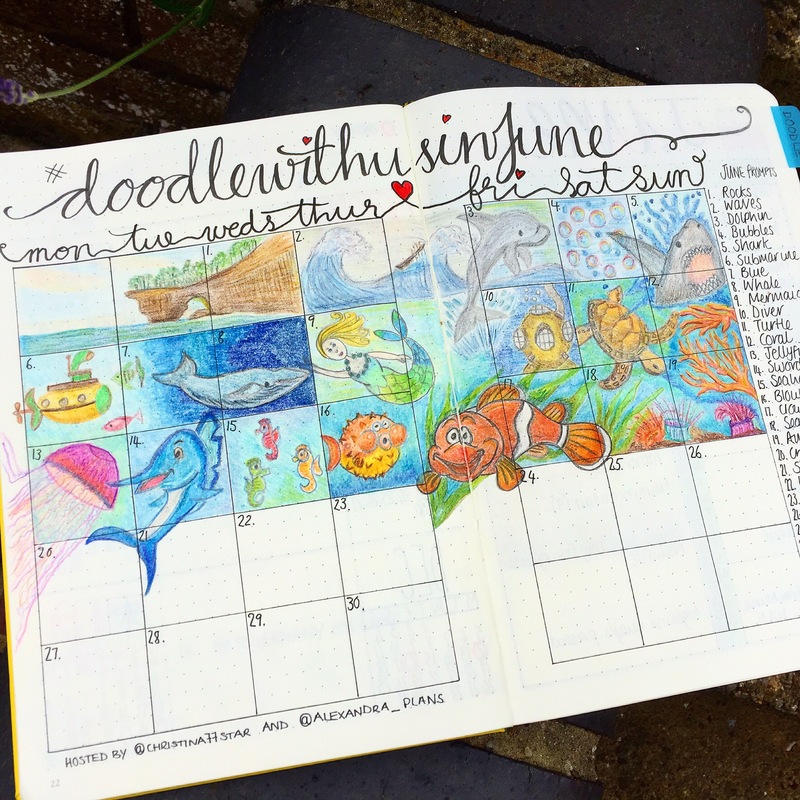 Which really make the colours zing! 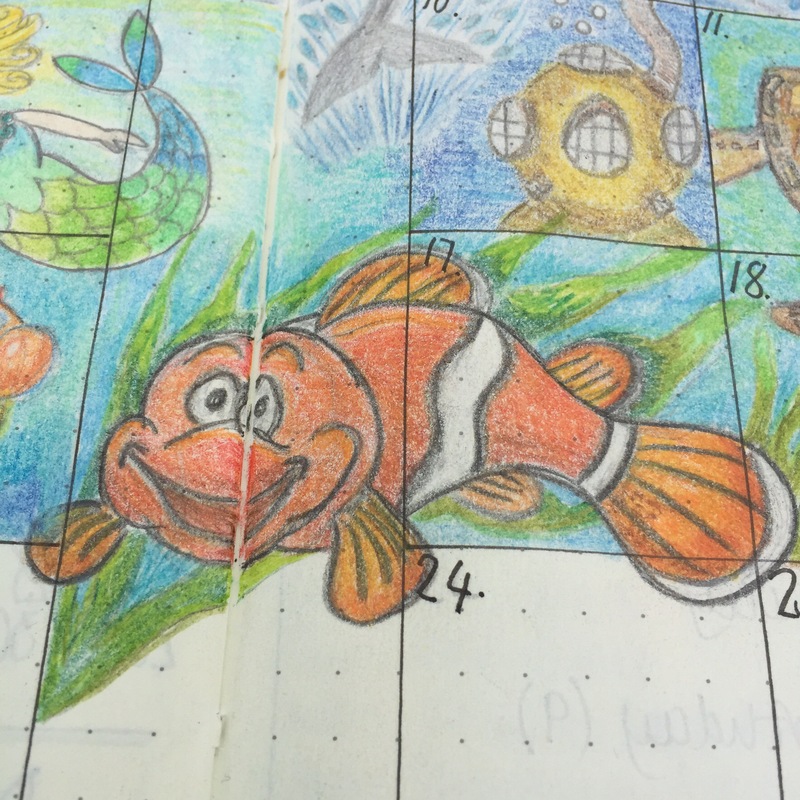 Not quite Finding Nemo but a happy clown fish nonetheless. 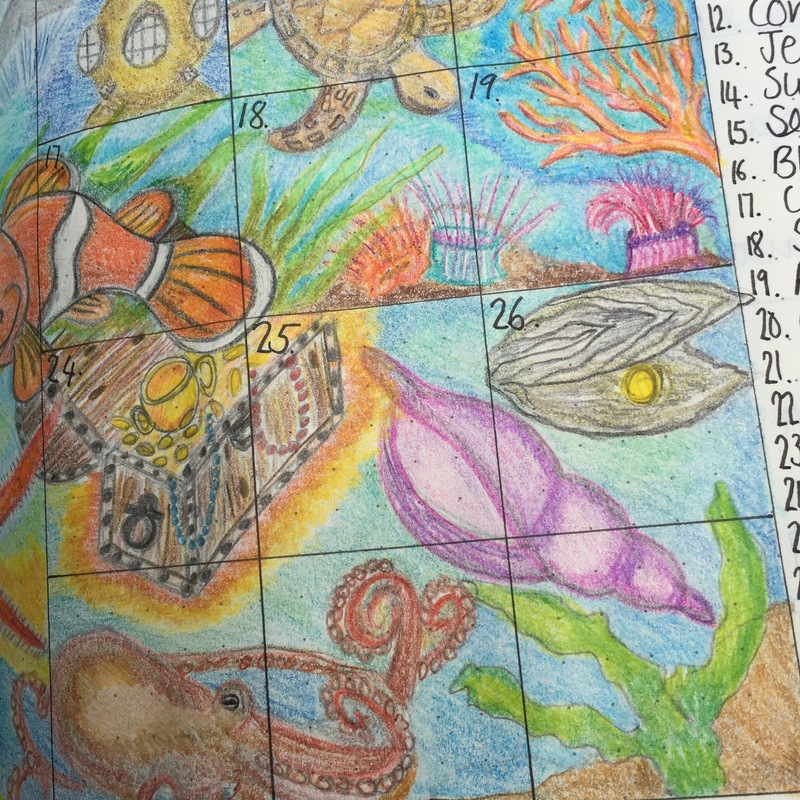 And here is the finished article. 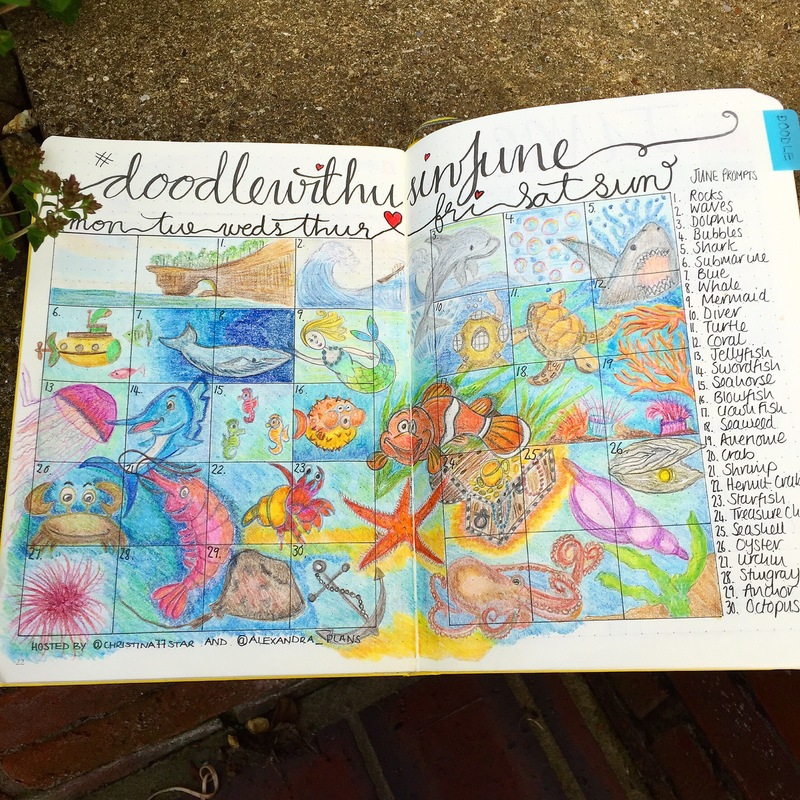 If you want to see everyone else’s amazing doodles then visit Instagram and search #doodlewithusinjune. 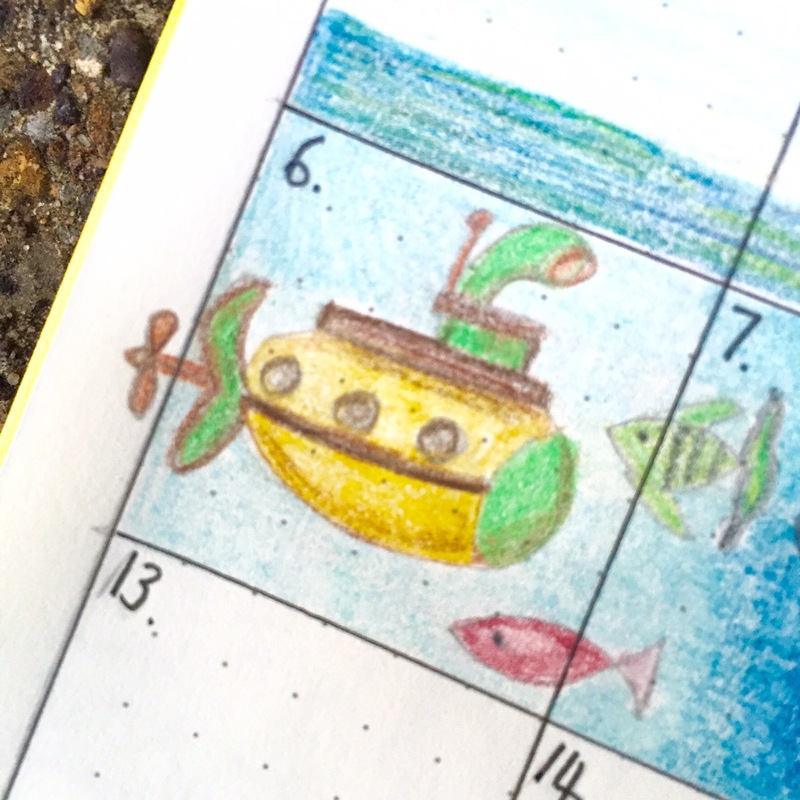 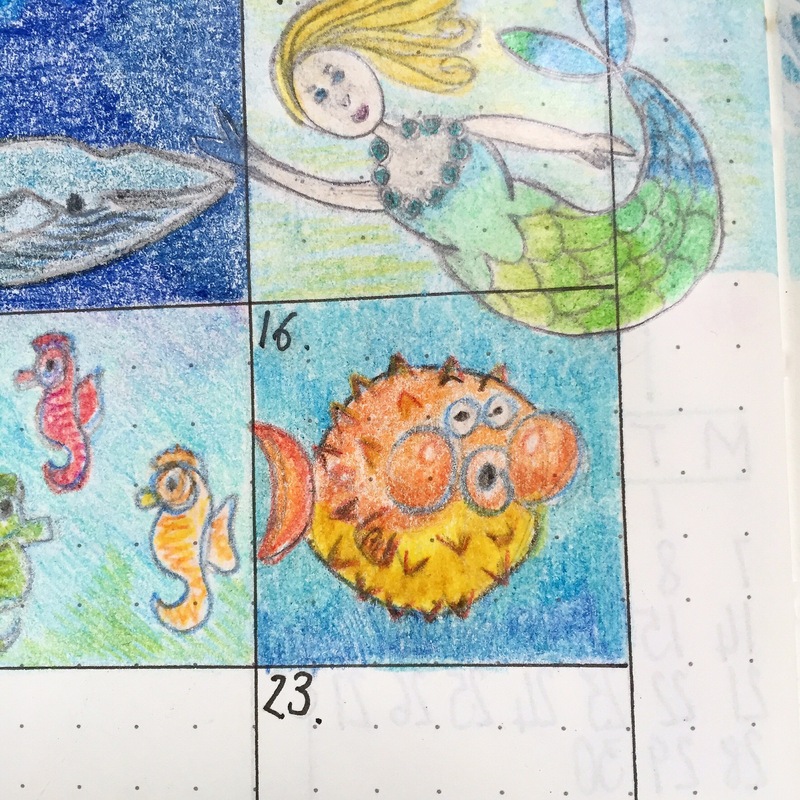 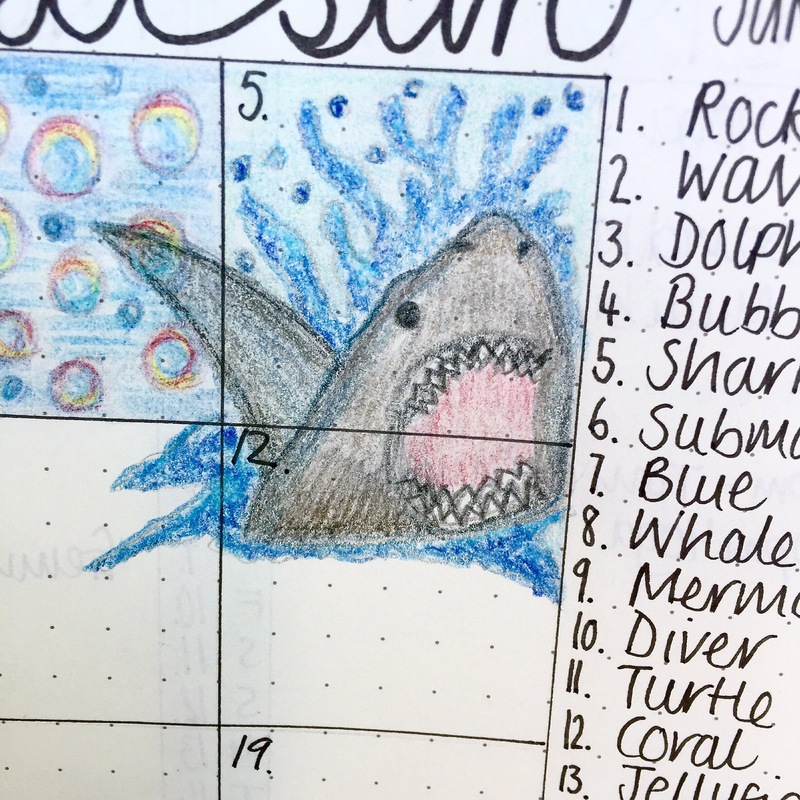 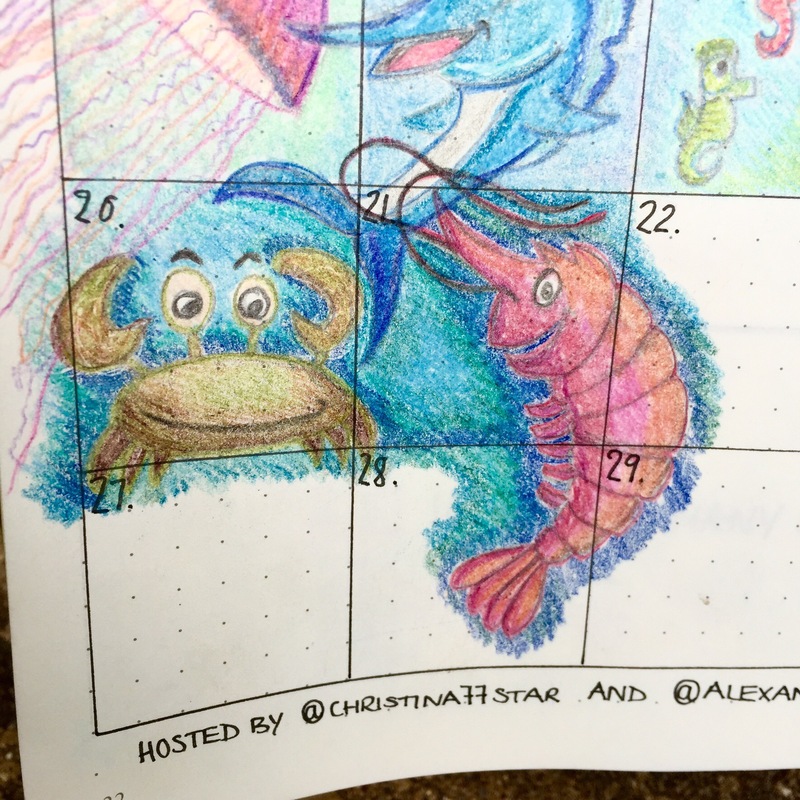 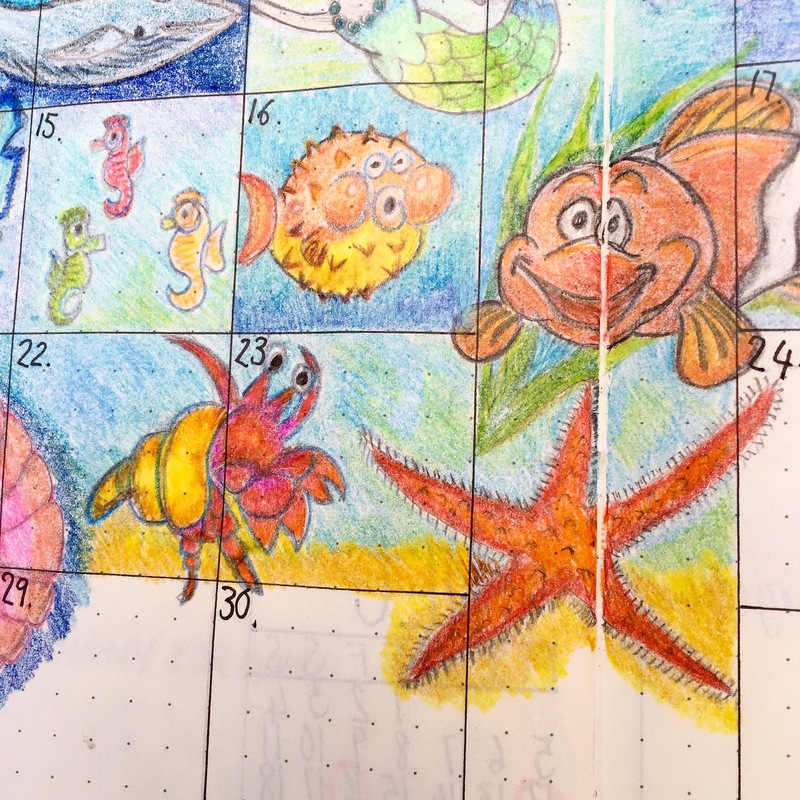 A big shout out to bossgirlbujo the_bulletjournal_addict stnrylovers planningmyday and of course Christina and Alexandra – links above – all of their doodling was amazing! 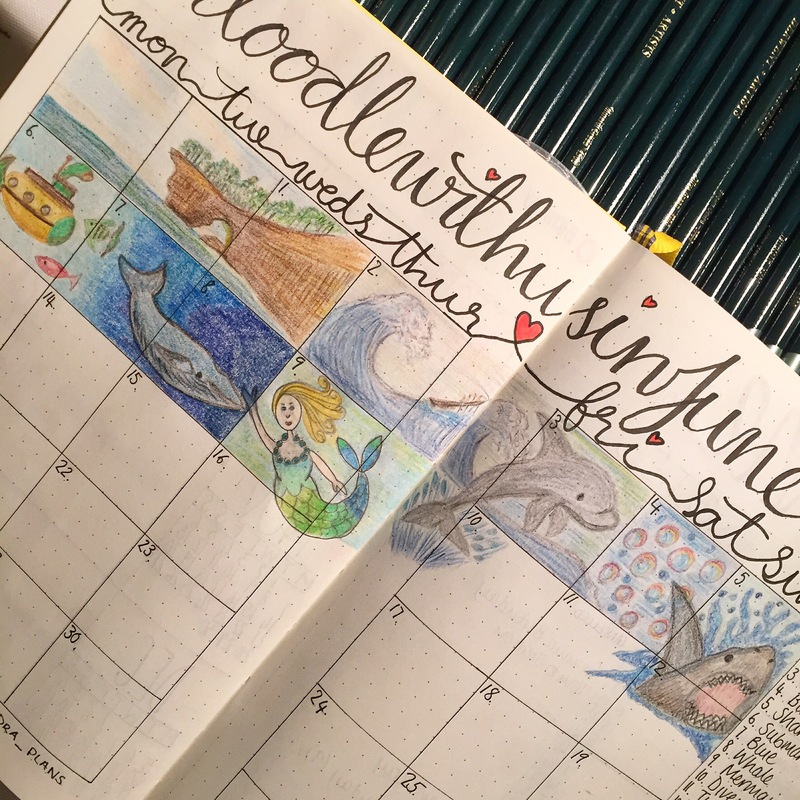 Do You Bullet Journal on Holiday?